If you want to be smart about your money, you need to know and follow certain credit card rules. These rules will tell you what to do so you can be a smart credit card user. Contrary to what you may believe, it is not the fault of credit cards if a lot of Americans fell into a debt pit during the Great Recession. Although the industry and society itself lured us into debt, it is unfair to paint this payment tool in such a bad light. The bad publicity that these cards got during after the economic crash was unjust and uncalled for. The truth is, it is our own fault that we landed in debt. We all know what credit cards are for. If we got ourselves into a debt pit, that was based on our own choices. If you do not want your debt to bloat the way it did in the past, make sure that you learn how to use it properly. According to the latest forecast from TransUnion.com, people are starting to gain confidence in the economy that they have started to use debt once more. In fact, the forecast reveals that the lending market is fully recovered from the most recent economic crash. When it comes to credit cards, it is expected that the delinquency rate will go down to 1.46% when 2016 ends. A delinquent credit card account means it was not paid in 90 days or more. If the delinquency rate goes down, this probably means people are following the best practices when it comes to credit card use. If you want to improve your finances this 2016, it is very important for you to learn and live by these rules. To help you get started, here are 7 credit card rules that you need to follow in order to be a smart manager of your finances. Rule 1: Do not pay later than your due date. If you pay later than your due date, you will end up paying more than what you purchased. If you want to avoid wasting money, you have to pay your dues before the due date. If you can pay the balance in full, that is the best scenario. You will not be imposed with finance charges and you will only pay for what you bought. But even if you cannot pay that amount – it is okay. However, you have to make sure that you can pay the minimum payment requirement on your debt. That way, your account will not end up in default status and you will not be given late penalty charges. If this late penalty charge is added to your balance together with the finance charges, that can grow your debt significantly in a few months. Rule 2: Keep your balance low – if not zero. As mentioned, the best rule is to pay your balance in full once the billing statement arrives. This will help you avoid finance charges and make you pay only the value of the money that you bought. But even if you cannot do that, it is important for you to keep your balance low. This will keep you from ruining your credit score because of too much debt. When you still have a balance, it is important that you pay it off first before you use your credit card again. If you keep on making all those small purchases without paying your dues properly, this will soon accumulate. It might become too big for you to pay off. Rule 3: Check your monthly statement for errors. This is one of the credit card rules that people sometimes have difficulty with – even if it is very simple. The problem is probably in the fact that we underestimate the damage that a wrong information can bring. If you do not check your statements, you will not see the errors that are in it. You may end up paying for something that you did not buy. Worse, you may be unable to spot an identity theft in progress. According to the information from FDIC.gov, the Truth in Lending Act gives you the right to dispute any errors that you have in your credit card statement. You simply have to call the creditor so they can investigate. If you report it, they have the obligation to check what happened and to correct it if there is proof that an error was made. If it is a case of identity theft, then they should investigate to remove the liability of the debt to you. Rule 4: Never be afraid to ask. When it comes to your credit card, you should never be afraid to communicate your concerns with your creditor. If you have a problem with the interest rate because it is too high, do not be afraid to ask them to lower it. Just let them know that you are having a hard time and you want to avoid falling into default. On account of your good payment behavior, ask them if they can lower your interest rate so you can stay as active with its use as you did before. If you are a good client, they will oblige. This is also something that you can do if you want more rewards or a different payment term. Among the credit card rules, this is one that you should practice even if you do not use this purchasing tool. In the same way that checking your billing statement for errors will help you check for identity theft, monitoring your credit report will do that also. Looking at your credit report allows you to check if someone used your personal information to open another credit card. They may be using that to rob from you. Since it is under your name, they can use it and let you pay for it – unless you catch them immediately. Rule 6: Avoid making cash advances. Another one of the credit card rules that you need to implement always is making cash advances. This is just like payday loans. You should never use this to bail you out of a tough financial situation. The interest rate is very high and it is usually not worth it. Look for other ways to get the finances that you need. Stay away from using your credit card to get a cash advance. Rule 7: Know what goes on in the credit card industry. Finally, you have to know what goes on in the credit card industry. That way, you will know how it affects your own account. According to CBSNews.com, the interest rate hike that the Federal Reserve will make will affect all type of loans – including credit cards. The report said that it will be a small effect but there will be an increase in the rate. If you are aware of this piece of information, you will realize that you need to pay off your balance so it will not be affected by a higher rate. You need to be aware of these updates so you can make the right decisions about your credit card debt. 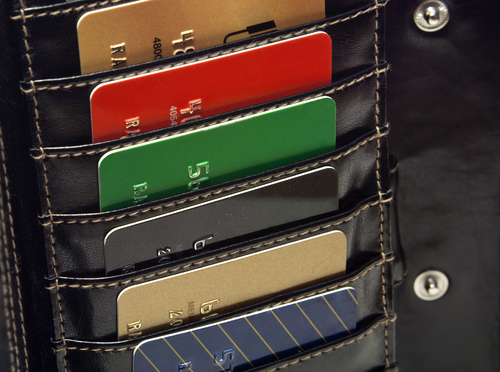 These credit card rules will allow you to be a smart manager of your finances and debt. Try to follow all of these so you can ensure that your debts will be manageable at all times. The truth is, debt can dictate how you live your life. If you let it, that can happen. Do not give it that power so you will never be at its mercy. There are three ways that debt can ruin your life. It can make you waste a lot of money. First of all, it will make you waste a lot of money. At least, if you keep on paying the high interest rates. If you learn how to pay your dues within the grace period, this will not make the interest a problem. But if your balance always accrue finance charges, that is a waste of money. Any penalty or fee that you have to pay is a waste of your hard earned money. Since you are wasting your money on the interest and other charges on your credit card debt, you cannot invest it. Instead of letting it grow so it earns money through compound interest, you are using your money to make your creditors rich. If you really want to achieve financial independence, investing is one of the things that you need to look into. It can keep you from enjoying your money. The last way that debt can ruin your life is by keeping you from enjoying it. Instead of using it to finance your vacation or a date night – you are using it to pay off your debt. You cannot relax because you know that your debt should come first. You cannot choose to buy what you want because your debt is a priority expense that you need to meet. These are only some of the things that will happen to you if you fail to put your debts in order. That is why you need to follow the credit card rules so you will not end up putting your life in a compromising position.